It’s a great relationship with Mark Cuban. If they want to bring me back to Dallas, I am very [good] with it. But I’m happy in Minnesota. They’re the ones that wanted me there, the ones that signed me for four years, so until they decide to trade me, I’m going to give them all my effort in the games. * Ricky Rubio will play a ton of minutes at point guard. As a rookie, before his knee injury, Rubio played over 34 minutes per game. As a third-year guard fully recovered from ACL reconstruction, he’ll be logging the 38 or so minutes per contest that Damian Lillard and Steph Curry played last year for their teams. * The Wolves’ offseason was almost entirely devoted to signing wing players, and competition for shooting-guard minutes will be fierce. Barring injury or something unforeseen, Kevin Martin is the starting shooting guard. Either Corey Brewer or Chase Budinger will start at the other wing and probably expect to see some time at both wing positions. Shabazz Muhammad and Alexey Shved are lesser-known quantities, but each enters the season with sights on playing time. (And no matter what Flip says, I don’t think starting for the Iowa Energy will satisfy Bazz.) Provided the team stays relatively healthy (*crosses fingers*) there will not be much playing time available for J.J. Barea, unless he can outperform the likes of Martin and Brewer at the off-guard position. 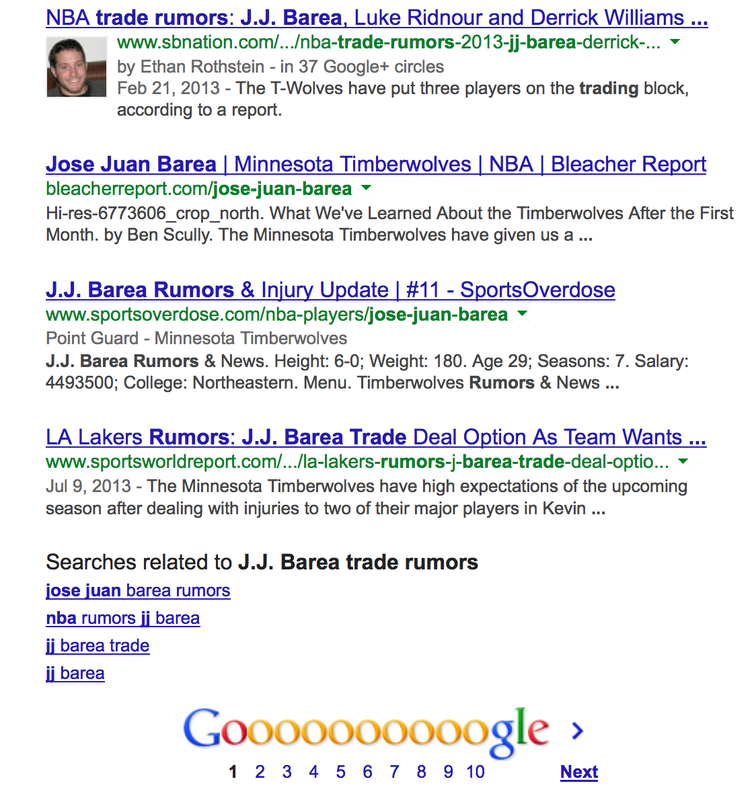 * Barea is a ball-dominant, create-the-offense type of guard. For better or worse — and I get the sense that opinions are widely varied on this — Barea often dribbles the air out of the ball before initiating a kamikaze drive to the basket. For someone generously listed at 6’0″ tall (he looks more like 5’9″) it’s pretty incredible how Barea fends off would-be shot blockers to score at or around the basket in NBA games. But he misses plenty, too (career field-goal percentage of 42.6). In the process, he sometimes hijacks the entire offense, leaving his four teammates standing around watching. Barea’s dribble-drive tendency is especially maddening when he plays off the ball brought up by Rubio or Shved, who themselves thrive at creating shots for somebody in his position. I suspect the Martin acquisition was made in large part to ensure that a sweet Rubio dish doesn’t go to waste by a recycled round of dribbles. Where this becomes more muddled is looking at the current roster, post Ridnour trade. Rubio is the only pure point guard. 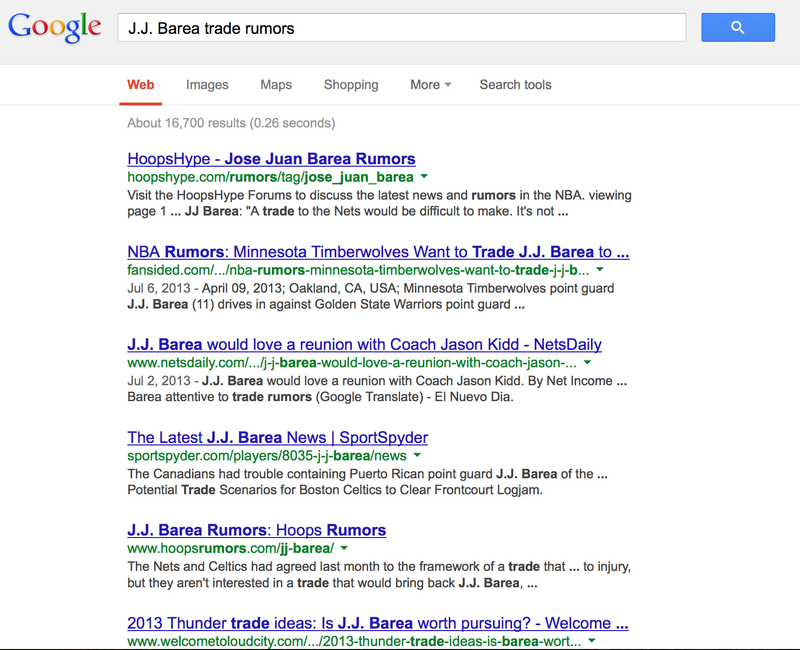 Current backup options are Barea and Shved. While Alexey played some fine games as the lead guard setting up teammates off of ball-screen action, he did not like bringing the ball up the floor against pressure defense. When pressed, he’d usually hand it over to Barea. Combine this with the fact that many backup point guards play full-court pressure defense, and it stands to reason that Alexey might get rattled if tasked with point guard responsibilities. The Wolves still have one roster spot to fill, should they choose to use it. Perhaps they’ll pick up a cheap free agent that can play point. Also, a potential Barea trade could obviously bring back a different point guard as insurance on a Ricky injury and/or a Shved meltdown. But as the roster currently stands, with 10 or so minutes of point guard duty available, and maybe not any shooting guard minutes available, I think there’s a good chance J.J. Barea and his $9 Million-over-the-next-two-seasons Kahntract gets moved sooner than later. JJ is a ball hog with this team. He thinks he’s the man. Better to move him to an established team. He would lower his huge ego and bend in. Here, he is no fun to play with and no fun to watch.